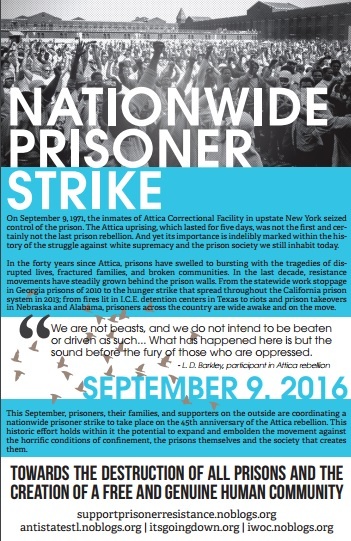 Here is a poster (11×17) for the upcoming nationwide prisoner strike on September 9th. Download, print and put it up around your city if you feel it. 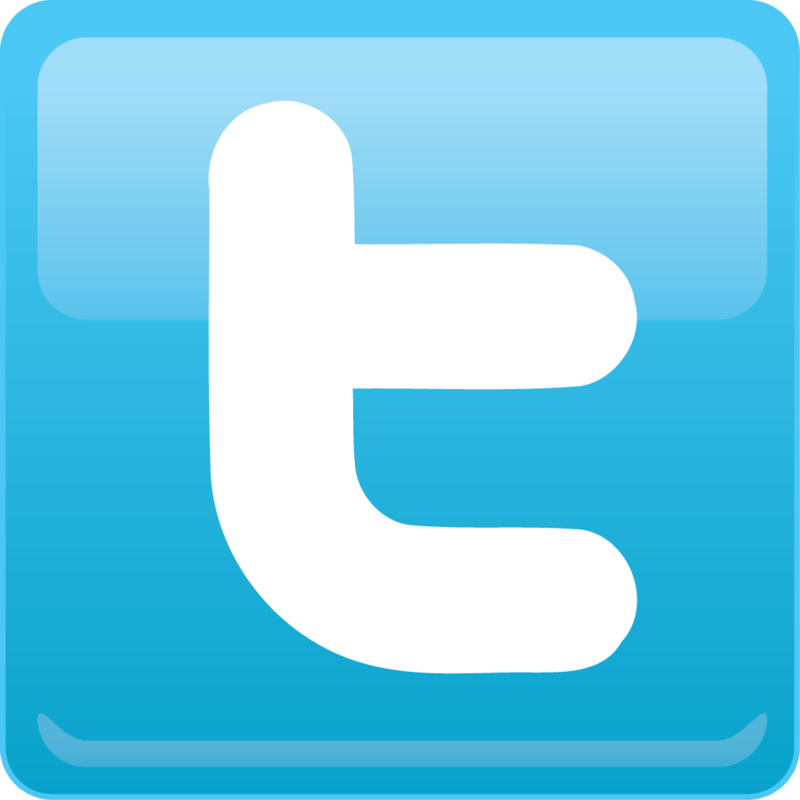 On September 9, 1971, the inmates of Attica Correctional Facility in upstate New York seized control of the prison. The Attica uprising, which lasted for five days, was not the first and certainly not the last prison rebellion. And yet its importance is indelibly marked within the history of the struggle against white supremacy and the prison society we still inhabit today. In the forty years since Attica, prisons have swelled to bursting with the tragedies of disrupted lives, fractured families, and broken communities. In the last decade, resistance movements have steadily grown behind the prison walls. From the statewide work stoppage in Georgia prisons of 2010 to the hunger strike that spread throughout the California prison system in 2013; from fires lit in I.C.E. detention centers in Texas to riots and prison takeovers in Nebraska and Alabama, prisoners across the country are wide awake and on the move. This September, prisoners, their families, and supporters on the outside are coordinating a nationwide prisoner strike to take place on the 45th anniversary of the Attica rebellion. This historic effort holds within it the potential to expand and embolden the movement against the horrific conditions of confinement, the prisons themselves and the society that creates them. Towards the destruction of all prisons and the creation of a free and genuine human community!